and you’ll save 21% on all your future catamaran cruises with us FOREVER! 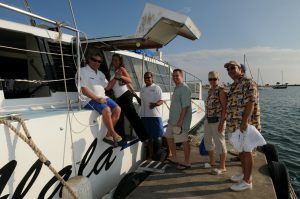 Once you’ve shared adventures with us on any of our Snorkel Cruises, Sunset Cruises, or Whale Watch Cruises, you’re part of our ‘ohana (family)! Then, when you make another reservation directly with us, just mention you’ve joined us before, we’ll verify your previous adventure(s) and you’ll save 21% off our regular fares! It’s that easy! Passport Adventure Rewards will also save you money on beach rentals, and select merchandise at our retail outlets. 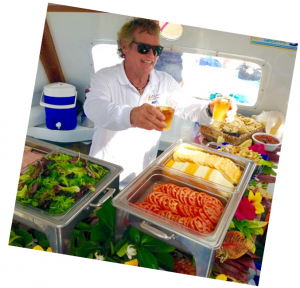 “Mahalo for Sailing with Ocean Sports”!